In today’s business climate, innovation management is a requirement. But how do you track and plan for innovation in a fast-paced, bottom-line driven environment? How do you calculate the risks and threats to the organization that innovation may present? Active Risk Manager (ARM) provides the backbone for innovation management, sharing and control. It helps you identify and understand the unknown and flesh out the unintended consequences a new idea may cause. 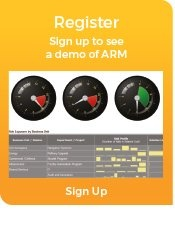 Using ARM for innovation management removes the uncertainty from new ideas by collecting all related risk data into one place, helping to reveal hidden impacts and improve decision-making.